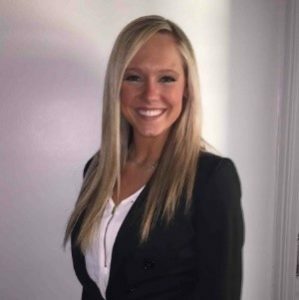 Allied Insurance Brokers is excited to announce the promotion of Landin Beer to Senior Account Manager. Ms. Beer joins the growing team of Allied’s producers as the organization experiences record organic growth. In her position, Ms. Beer will manage a territory that includes the states of IL, IN, MI, MN, and WI. She will handle a book of business focusing on insurance & risk management solutions for the scaffold, crane, and rental equipment dealer industries, as well as provide support to Allied’s existing clients. Over the past 15 months, Ms. Beer worked as an Account Manager alongside Allied’s senior producers. In that time Ms. Beer immersed herself within the crane and scaffold property & casualty niche insurance markets, learning how to provide proactive insurance and risk management solutions to these unique industries. She has also earned her Construction Risk Insurance Specialist (CRIS) designation. Prior to Allied, Ms. Beer spent time as a Sales Representative with Aflac. Ms. Beer is a graduate of the Indiana University of Pennsylvania with a Bachelor’s Degree in Business Management.